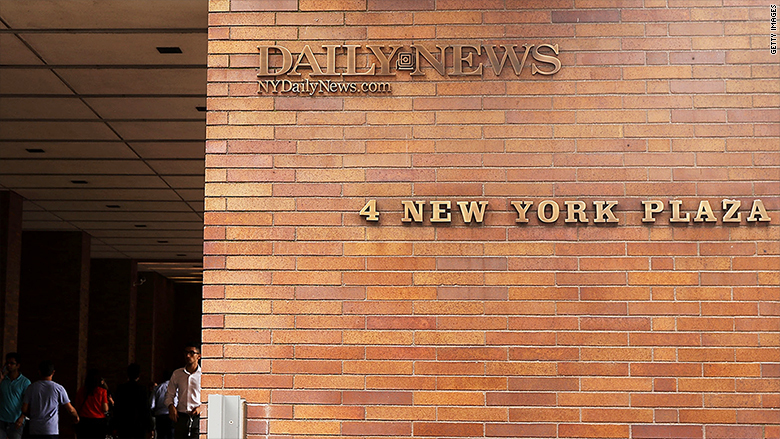 Tronc laid off half the staff of the New York Daily News on Monday. Astonishingly, the cuts are not over yet. The newspaper publisher is laying off staffers at some of its other papers "today and tomorrow," according to a Monday afternoon memo from Tronc CEO Justin Dearborn. "The Daily News is unique in that local leadership determined a complete redesign of its structure was needed post-acquisition," he wrote. "We do not expect reductions of this scale in any of our other newsrooms." "With that said, several newsrooms and business units are implementing much smaller reductions today and tomorrow to reduce expenses and contain costs," he wrote. A Tronc spokeswoman declined to provide further details about the size and scope of the cutbacks. The memo hit shortly after 5:30 p.m. Eastern, capping a day that began with shocking news about the Daily News. When Tronc acquired the New York tabloid last year, staffers expected changes, but Monday's 50% reduction gutted the newsroom. Dearborn's memo positioned the companywide-cuts as a necessary measure. "As a public company, we have a fiduciary obligation to balance the interests of all of our constituents: shareholders, employees, readers and community," he wrote. "Interesting way to order those constituents," replied Phil Davis, a reporter at the Capital Gazette in Annapolis, Maryland. Davis was one of the staffers who survived last month's shooting attack at the Capital Gazette, a unit of The Baltimore Sun. Like some other reporters, he tweeted out part of Dearborn's memo. Earlier in the day, another Capital Gazette journalist, Chase Cook, wrote that the Daily News cuts were a "barbaric" solution to its business model problems. "Tronc still finds a way to pay millions to executives," he said. Cook added, "I'm thankful to have a job. And Tronc has been incredibly supportive after the shooting. But the only reason I can afford to work for The Capital is my fiancee is a pharmacist." The company's other publications include the Orlando Sentinel, the South Florida Sun-Sentinel, the Hartford Courant, and The Morning Call of Allentown, Pennsylvania.